According to a new report, the iPhone XR’s not the only Apple device suffering from lower-than-expected sales. Turns out, even the pricy iPhone XS and iPhone XS Max are dealing with a similar fate. Insider sources told the Wall Street Journal (via GSMArena) that reduced demand for the new iPhones combined with the decision to release more models this year has given birth to turmoil in Apple’s supply chain. It seems the company is having a tough time predicting the number of components and phones it needs. As a result of all this uncertainty, the sources claim that Apple has cut production orders for the iPhone XS, iPhone XS Max, and iPhone XR. This has naturally annoyed its partners who are now being forced to grapple with a sudden reduction in orders. Previous reports say that Apple had initially asked for additional assembly lines for the iPhone XR, but changed its mind about those once orders started trickling in. One analyst thinks that weak demand combined with quality issues are the real reasons why the handset’s struggling so much lately. The iPhone XS and iPhone XS Max are the real surprises here. Apple supposedly shocked investors with surprisingly low demand numbers a few weeks ago. It’s possible this could change with the impending holiday season when demand typically picks up for a couple of weeks. Nobody knows for sure why the 2018 iPhones are struggling. 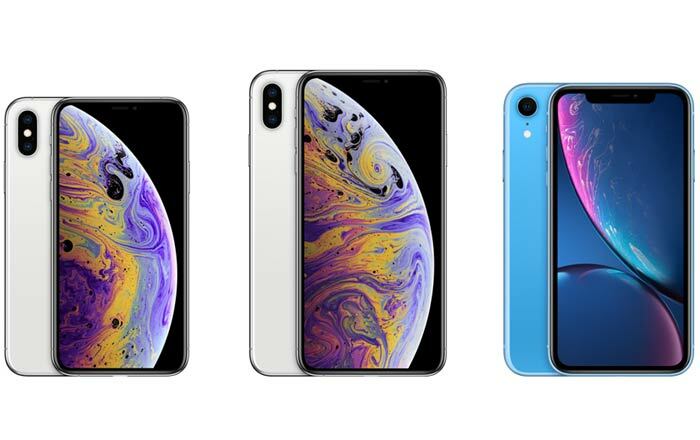 Cost is likely a big factor since the trio is extremely expensive, even the ‘budget’ iPhone XR. Apple might have planned for this in advance though. Smartphone sales have been waning over the past few years all over the world, so Apple reportedly decided to raise the average selling price of its iPhones to make up the difference. This way, even if it sells fewer iPhones, it still makes a profit. Apple has already announced that it’s not going to disclose sales numbers to investors during its quarterly earnings reports as part of this strategy. It’ll be harder for us to tell if there’s any truth to these reports as a result. The brand isn’t very chatty when it comes to internal matters, so we may never get a complete idea of how well or badly iPhones are doing.